Presidential elections will be held in October 2018 in Azerbaijan. President Ilham Aliyev has a high chance to be elected. 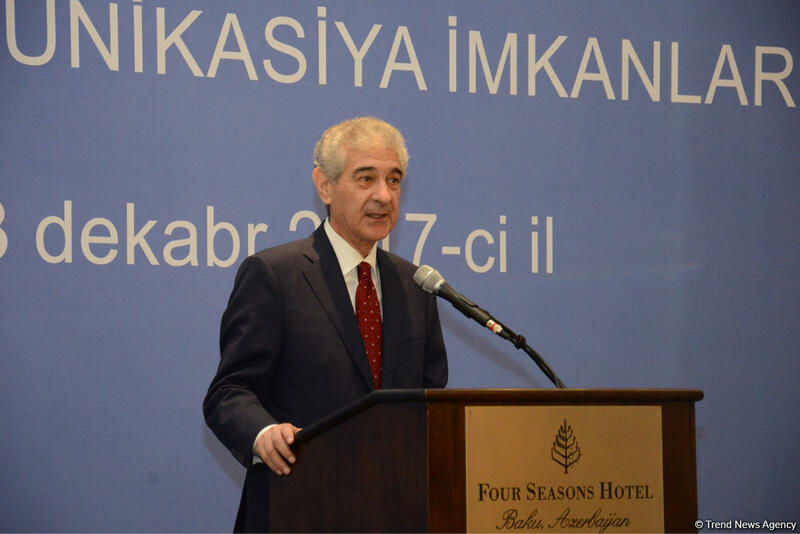 Azerbaijan's Deputy Prime Minister and YAP Deputy Chairman and Executive Secretary Ali Ahmadov made the remark addressing a conference titled "New Energy and Communication Opportunities at the Crossroads of East and West" on Dec.23. Ahmadov stressed that President Ilham Aliyev's high reputation, rating, people's unequivocal support to his policy, the positive changes taking place in the life of Azerbaijan, the rise of country's image in the world - all these gives the President a high chance to be elected. "I am confident that after the 2018 presidential elections we will hold the next December conference under the influence of the president's new victory with a great joy," he said. He said that the successful economic policy founded by the national leader in Azerbaijan today is being successfully continued by President Ilham Aliyev. He said that thanks to this policy, Azerbaijan has a great role in the realization of global projects. "The extension of the "Contract of the Century ", implemented by national leader Heydar Aliyev, is of great importance for our country, and the increase of our international reputation can be regarded as dividends of these projects." Speaking about the fact that Azerbaijan is located at the crossroads of the East and West, Ahmadov said that President Ilham Aliyev skillfully uses the advantages of Azerbaijan. "Thus, the implementation of global projects brings economic dividends, and our country turns into an energy communication center of the whole world. Thus, the position of Azerbaijan in the world is increasing significantly," he said.